Our side panel pumpers are available in a wide variety of designs and compartment styles. Customize your new fire truck the way you want it, whether it’s a custom or commercial chassis pumper. From traditional pumper style bodies, all the way to full height/full depth rescue style compartments with heavy duty pumper construction. Departments who use our pumpers rely on them for years of dependable service. Using heavy duty construction on every vehicle, Accelerated's Tri-Star Fire Rescue trucks are built to last a lifetime. Accelerated/Tri-Star's extruded aluminum fire body is the strongest, best built, extruded pumper body in the industry. If you want a formed fire truck body, we have that as well with our heavy duty, 12 gauge galvanneal, 3/16” thick marine grade aluminum, or our ultimate, 12 gauge stainless steel body. Get YOUR truck built the way YOU want! 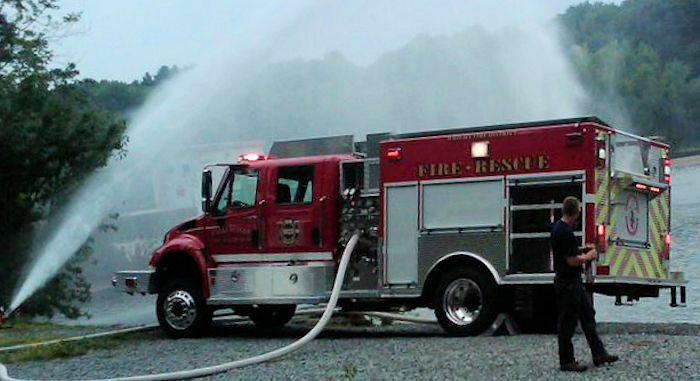 Whether it’s a commercial chassis pumper or a custom chassis pumper, lets us put our experience to work for you!